Individual Event 2 of The CrossFit Games is 30 Ring Muscle Ups for time. Who do you think will win this? Noah Ohlsen is one candidate, as he regularly posts videos of himself performing high rep sets of ring muscle ups. 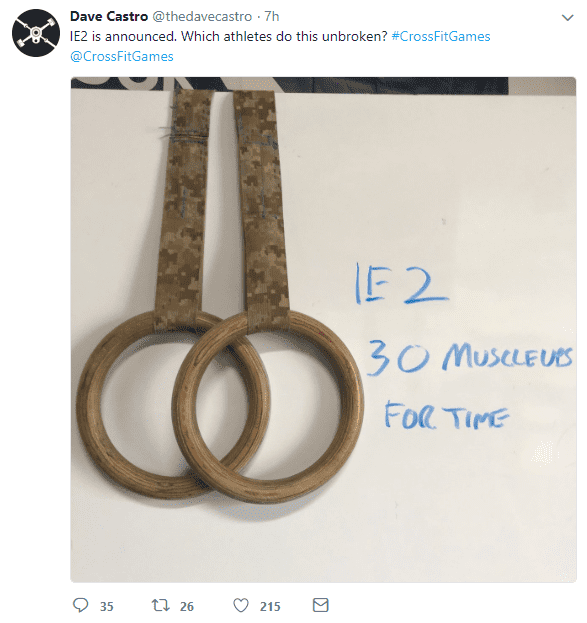 Individual Event 2 will be part of a brutal first day at the 2018 CrossFit Games. The elite: The global fitness community turns its eyes to Madison, Wisconsin, as the world’s finest athletes showcase the heart and determination required to be named Fittest on Earth. The Games season is broken up into three stages. The first stage is the Open. This five-week, five-workout competition is held in the winter in CrossFit affiliates and garage gyms around the world. Workouts are released online each Thursday, and athletes have until the following Monday to submit their scores. Anyone who’s at least 14 years old can sign up and join in the first stage of the CrossFit Games season. The top athletes from each of the 18 worldwide regions qualify for the second stage of the competition—Regionals. The Regionals are live, three-day competitions that are held May through June. Top athletes from two regions combine and compete at one of nine Regionals to earn qualifying spots for the CrossFit Games. Through the trials presented at Regionals, the fittest 40 men, 40 women and 40 teams earn qualifying spots to the Games. The North American, European and Australasian Regionals each send their top five from each division. The Meridian Regional sends four and Latin America will send one from each division. 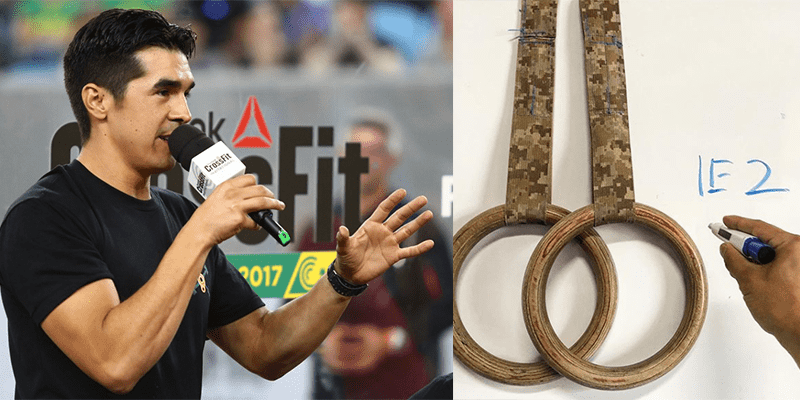 The season culminates in the 2018 Reebok CrossFit Games. At this point in the season, the field has been whittled down from hundreds of thousands of athletes in the Open to the world’s fittest 40 men, 40 women, 40 teams, 80 teenagers, and 240 masters. The CrossFit Games rank the world’s fittest and determine who is the Fittest on Earth. The Games are a playing field where the fittest athletes are given a chance to distinguish themselves through consistently exceptional performances. In a single competition, the CrossFit Games test athletes’ capabilities across broad time and modal domains. A wide variety of different events are intentionally included. In the past, these have ranged from dusty hill sprints to sandbag carries to ocean swims and endurance events. Future events will include even more surprises. The Games use a relative scoring system. That is, athletes are rewarded according to their placing in each event relative to their peers—not according to their absolute performance on that event. Each event will be worth up to 100 points, and athletes earn points based on their finish (see chart). At the end of the weekend, the athlete with the most points is the winner and is crowned the Fittest on Earth. Interest in this sport continues to increase as the size of the CrossFit community grows. Last year at this time, there were just more than 13,000 affiliates. Today, that number has surpassed 14,500, and 2018 promises to be a landmark year for the CrossFit Games.